(Mega Post!!!) New World, New Mounts, New Wizard101 mini-games! 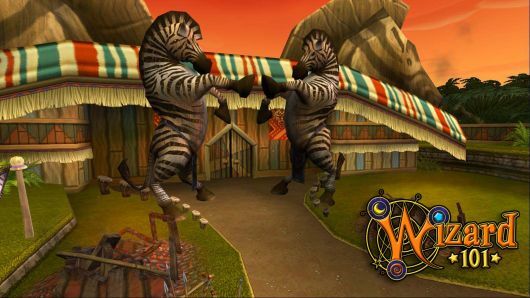 New World Zafaria!!! Introducing the new world released by Wizard101 which will have tons of new spells, mounts, gear, pets and thank god... A new level cap!!! 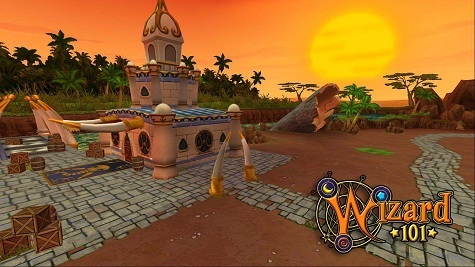 You will be able to reach level 70 in this new African themed world. Now there has been sooooo much talk about Zafaria starting with the sneak peak pics leaked by Wizard101 and other sites. First there were tons of people trying to figure out the codes in the pictures. The Spirals, Stars, and Giraffes were all in apparently Morse Code as figured out by Kevin Battleblood :) Here are original leaked pictures with their code under them. It has been assumed that in the last photo, besides the epic archaeological outfit, "Her" refers to Morganthe. 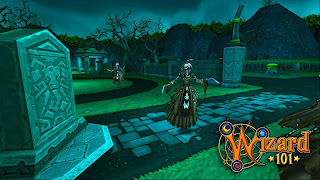 You also see the Shadowweavers that are from Celestia which can only mean one thing.... Morganthe has come back to the Spiral. 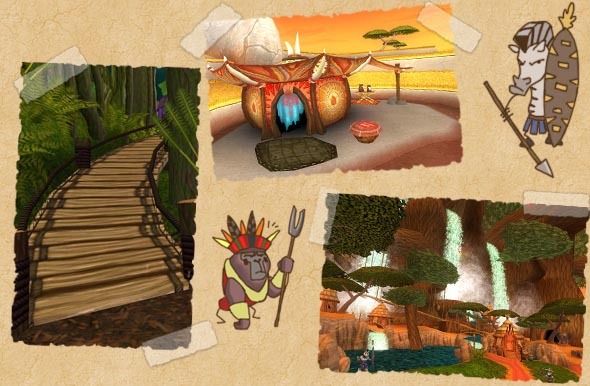 Baobab, the market Hub of Zafaria. The Savannah, with its open grasslands and hidden dens. Now, about the video... It is pure awesomeness. 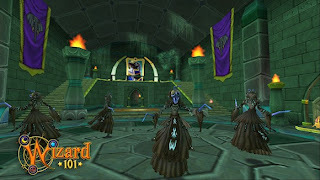 You see leaked new spells, cool gear, and some amazing world panoramas! 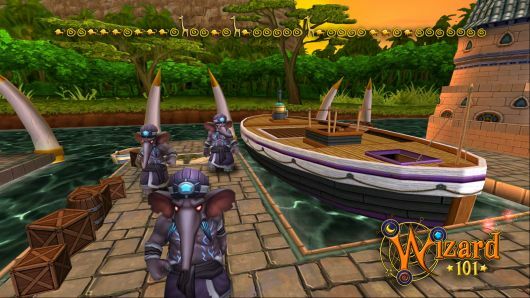 MMORPG.com, Massively, IGN, Gamasutra, and our very own Wizard101. Make sure to visit her in the Shopping District by the Fountain next to the Housing Shop. 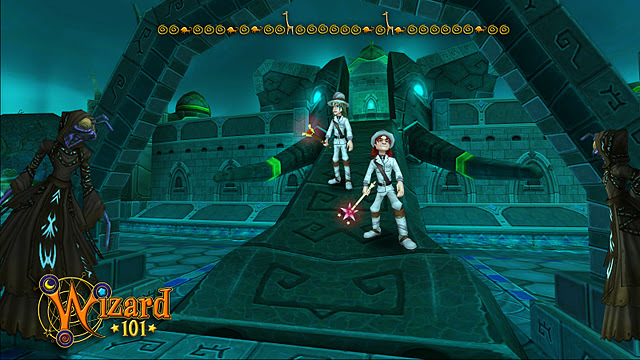 Currently there is only one mobile app for Wizard101. 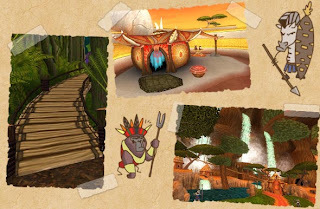 Now KingsIsle is releasing a new app that will be coming out very soon! Introducing Grub Guardians! 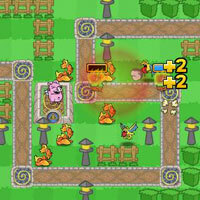 Grub Guardians is a tower defense game where you just protect your tower and the cool part is that you can train your pets from this!!! Yea you heard me right. No more being bored in the Pet Pavillion because you are trying to rank up your pet... No more being out of Pet Energy and not being able to train your pets. Make sure to get this app when it comes out for Android and IOS. I wanted to drop you a quick note to warn you of a scam that has been going on recently. People have been going onto facebook and into the game and pretending to be me -- or another member of the KI staff -- and offering to give out "free items" or "crowns" in exchange for providing them your user account and password information. If someone is asking you for your account information, that individual is likely trying to trick you and steal your account. DO NOT GIVE IT TO THEM! ANY other profile page claiming to be me is also a fake/imposter, likely created to steal the accounts (and crowns) from unsuspecting players. My ONLY official fan page is the one listed above. 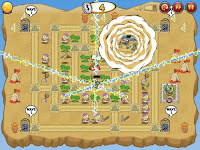 Thank you for your time and attention, for enjoying our game. 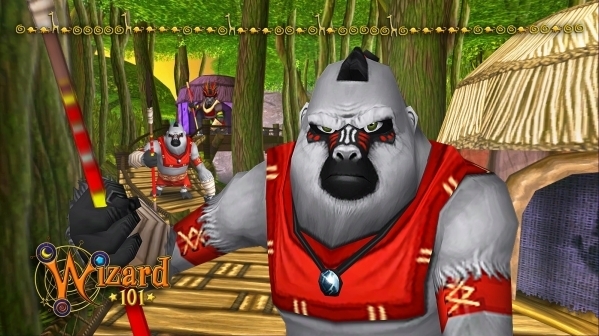 *Just to followup, here's a picture of the KingsIsle Support badge: Thank you! That's a lesson we try to teach our players every day! 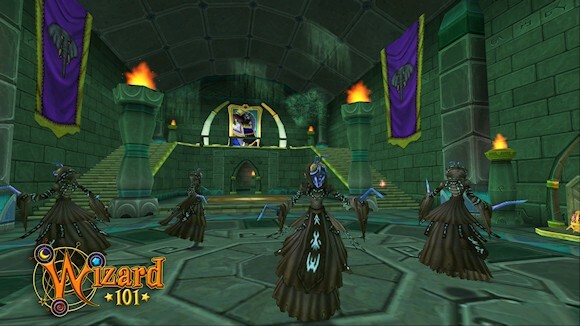 Giving away your password is the same as giving away your Wizards forever. 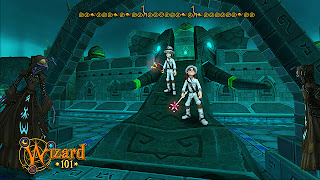 For those of you who are allowed on media sites such as Facebook, the official Wizard101 Facebook page is athttp://www.facebook.com/wizard101. We post almost daily news and have weekly giveaways for amazing items in the game. Nick made Zebrifica, I made Spizeria. Spizeria is a world I am drawing which is the main layer of Morganthe. 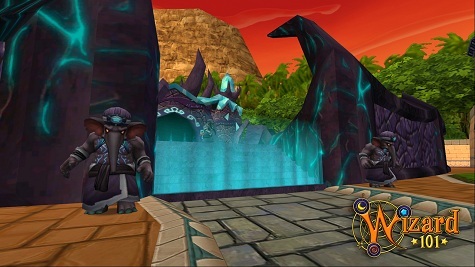 In Spizeria, you have your world gate which takes you to the main area (Center) and when you walk to the main area, you are greeted with to pillars with Skulls on top of them and fire on the side. Watch out because there is also poison seeping through the ground in certain areas. Next you have the Land of the Spider (bottom right) which is basically infested with Spiders from every world. You have your Marleybone spiders, Krokotopia spiders, and Dragonspyre spiders as well! 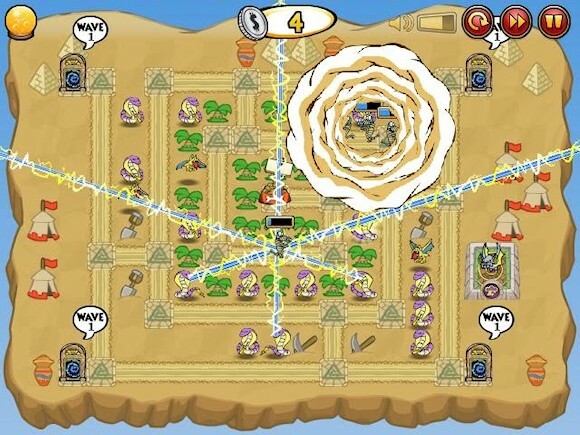 It will have the final instance of that zone a tower/volcano which you must get to the top and beat the Spider Queen. 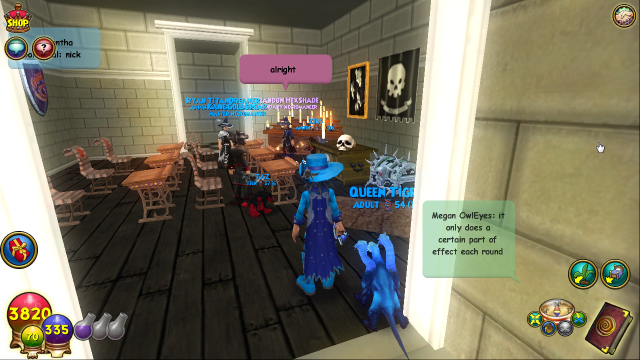 In the upper right corner we have the abandoned house of the potion witch who is the cousin of Firecat Alley's Gretta Darkkettle. Legend says this is an abandoned house but when you get a quest to go here to obtain a magical potion so you can venture through the Sea of Fire (left of main area) and the Lake of Poison (right of main area). Basically it is like the Celestian Quest to get the thing that lets you breathe under water. Death Classroom side view. Death Classroom in session. Well thanks for reading my Massive post of the week! See you in the Spiral and make sure to tune into Spiral Live this Saturday.